Her main teaching and research areas lie in Shakespeare and performance studies. A historian of the early modern playhouse, she recovers the day-to-day working life of Philip Henslowe’s Rose (the playhouse featured in John Madden’s 1998 film Shakespeare in Love) in Documents of the Rose Playhouse (1984, revised 1999). But she’s as much interested in ‘subsequent’ as ‘original’ performance. She uses theatre-going and modern theatre records such as the Royal Shakespeare Company archives at the Shakespeare Birthplace Trust to study contemporary Shakespeare performance, on stage and film. A regular contributor to Shakespeare Survey and Shakespeare Quarterly, and published in both Cambridge University Press and Blackwell companions to Shakespeare on stage, film, and popular culture, her major publications include Clamorous Voices: Shakespeare’s Women Today (1988), Enter the Body: Women and Representation on Shakespeare’s Stage (2001), the Introduction to Macbeth (Penguin, 2005), and, with Stuart Hampton-Reeves, Henry VI in Performance (2006). 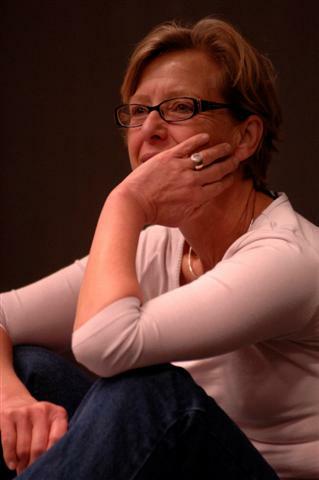 Her most recent publication, Shakespeare and Child's Play: Lost Boys on Stage and Screen (2007), is described by the director Terry Hands as 'a spectacularly good book. Superbly written, brilliantly observed'. Her selection and critical commentary of the poems of Tony Harrison, Tony Harrison: Permanently Bard (Bloodaxe 1995) won the Heinemann Award, 1996. Her first book for children, The Girl Who Swallowed the Wind, was published in 2006. She contributes to the RSC’s Artists’ Development programme, is a consultant to Northern Broadsides and patron to 1623 theatre company, and she’s a regular contributor to BBC radio arts programmes. General editor for the Manchester University Press series, Shakespeare in Performance, she sits on the editorial boards of Shakespeare Bulletin, Great Shakespeareans, and Borrowers and Lenders, and serves as a Trustee to the Shakespeare Birthplace Trust. She has supervised PhD research on the afterlife of Henry VI, Hamlet in Romania, King Lear in performance (on stage, screen, and in comic books), Thomas Dekker as theatre writer, and English Hecubas. She is interested in developing modules at undergraduate and postgraduate level that will think about theatre records: how actors and directors use Shakespeare’s texts and how writers, after the performance, use the trace materials that performance leaves behind – from prompt books to production photographs and costumes. Inside the University, her particular administrative focus is on undergraduate teaching, and she sits on committees whose brief is to monitor teaching excellence and enhance the learning experience for students. She was honoured in 2007 with a Warwick Award for Teaching Excellence (WATE) and was the university's nomination that year for a National Teaching Fellowship. Since January 2007 she has been the Director of the CAPITAL Centre, Warwick University’s partnership in creativity with the Royal Shakespeare Company, where her endeavour has been to introduce innovative teaching and open-space learning across the university, beginning with projects to re-imagine Shakespeare teaching for the 21st century. Click here to read Carol's article for Around The Globe magazine, a taster for her latest book Shakespeare and Child's Play: Performing Lost Boys on Stage and Screen (Routledge, 2007).